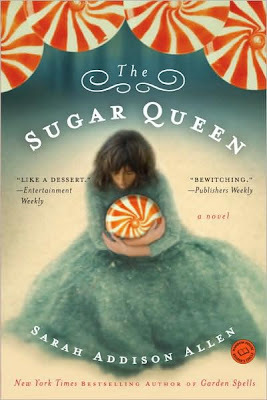 The Sugar Queen was written by Sarah Addison Allen. I suppose you've figured out that when I read one book I love... I search and find all of the author's books and read them at once. I'm curious to know if anyone else does this... or it is just a strange obsession I have with book reading? Please tell me I'm not alone. Sarah Addison Allen definitely has a way of making things magical. Again... the author's site is something to check out. Well... unless you're hungry. She has a recipe for Chloe's grilled tomato and three cheese sandwich that I would be eating right now if I had the 3 cheeses!